This upgrade will not incur any additional cost to users' bills. You can now get free speed upgrades of up to 100Mbps from TM. The level of speed upgrade depends on capability of the infrastructure in different areas. The upgrade will not incur any additional cost to the existing bill for Streamyx customers. 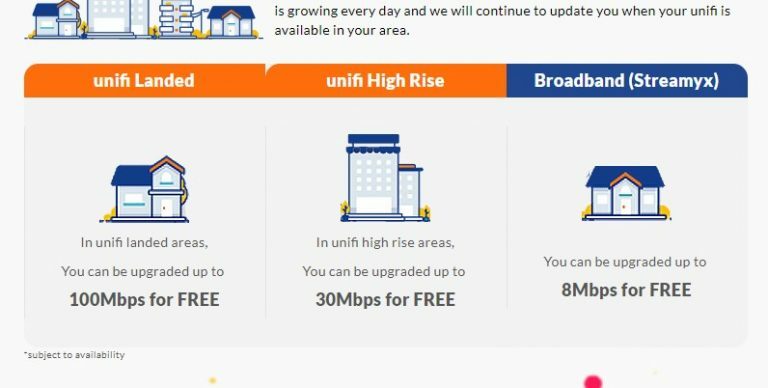 If you're a Streamyx user within the Unifi area, you are eligible for a speed upgrade of up to 100Mbps. However, if you live in high-rise buildings, you may only be provided with a maximum speed of 30Mbps based on the available network infrastructure. However, Streamyx users outside the Unifi area will only receive a maximum speed of 8Mbps with this upgrade. - Turn off your wireless router for 10 minutes to allow new configuration to take place. - Test your new speed at http://speedtest.tm.com.my/﻿. - Click on the 'GO' button on the front page and wait for the test to complete. On its website, the company said that users will be informed once Unifi is available in their areas. You can check your level of Streamyx speed upgrade here. 'Nightstream' is the latest addition to the popular endless runner genre and it looks too fun.